Portraits of Karma Lingpa are rare. In this small image he is seen wearing the garments of a Tibetan layman, swathed in the folds of his cape and cloak. On his head is seen the ritual hat of Padmasambhava, known as the Lotus Hat. From his sash emerges the hilt of a tantric dagger, a ritual object characteristic of treasure revealers, and he cradles another important Buddhist symbol, the Vase of Life, in his left hand. The inscription below the painting reads “Salute to Treasure Revealer Karma Lingpa.” The card is marked with the number seven of the series. tions to Tibet between 1929 and 1948 , point at one of the primordial characteristics of Tibetan civilization: the awesome majesty of its natural habitat and the rigorous living conditions it imposes on its creatures. Those vast, high, and silent spaces, which appear as a projection of the eternal and the infinite, must have been one of the determining factors that induced in the Tibetan soul an intimate conviction of the fragility and impermanence of life. “What comes earlier, tomorrow or death?” asks a popular Tibetan saying. This menacing presence of death moved the Tibetans to investigate its mystery more than other peoples seem to have done. The Bardo Thodrol, known in the West as the Tibetan Book of the Dead, is the result of those insights and reflections. predestined to do so by their good karma. One of them was the treasure revealer (terton) Karma Lingpa (Fig. 1), the son of an accomplished tantric practitioner. In the second half of the fourteenth century, at the age of fifteen, he unearthed on Mount Gampodar, in southern Tibet, a cache of manuscripts containing the tantric teachings of the “Self-liberating Realization of the Peaceful and Wrathful Deities” (Shitro Gongpa Rangdrol). Included was a set of instructions to be put into practice during the transitionary states (bardo) of dying, death, and rebirth, which are crucial periods when the possibility for spiritual liberation is heightened. 3 These instructions were standardized at the end of the seventeenth century by the yogi Rigdzin Nyima Dragpa and became the core of the Bardo Thodrol, which served as the basis for the first Western-language edition of the Tibetan Book of the Dead 4 (Fig. 2). Mongolia; 19th century Natural pigments and ink on paper; 7 x 25 in. Rubin Museum of Art C2004.37.3 (HAR 66013, 66043) Although it stemmed originally from the Nyingma School of Tibetan Buddhism, the Bardo Thodrol was soon adopted by all other schools in Tibet and was also spread widely in Mongolia by the Gelugpas. These finely illustrated pages of a Mongolian translation of the text show Buddha Vairochana in union with his consort, Dhatvishvari, the first peaceful deities to appear during the Transitionary State of Absolute Reality; and three of the four female ogresses that preside over the cardinal directions. Aside from their structural symbolism, stupas are emblems of the enlightened mind of a buddha, hence the achievement of nirvana. The stupa of this exquisite painting enshrines in its heart an image of Shakyamuni, the Buddha of our aeon, while it emanates a halo of light beams. The corners atop the painting show small images of Kashyapa (left), the Buddha of the previous aeon, and Maitreya (right), the Buddha of the next. The nuclei of different colors represent the Five Cosmogonic Elements that constitute our psycho-physical individuality: earth (yellow), water (white), fire (red), air (green), and space or quintessence (blue). They dissolve in succession at the time of death, propelling the mental principle to the bardos of the afterlife. the contingent situation they are traversing and the delusional nature of the karmic occurrences confronting them. This will determine the outcome of the bardo experience: the attainment of nirvana (Fig. 3) or continuation in samsara. thanatological guidebook— hence its Tibetan title. of any substance, any given nature, quality, or color. tive aspects of our psychic nature (Fig.5). In other words, the deceased is exhorted to recognize uncompromisingly that the godlike visions that manifest through a carousel of apparitions have an empty and hence illusory nature. They are a mere projection of his or her psyche on the screen of the karmic mind. However, the Bardo Thodrol does not read so directly throughout. assembly of peaceful and wrathful deities of the bardo thodrol Tibet; 19th century Natural pigments on cloth; 27.25 x 19 in. Rubin Museum of Art C2006.66.539 (HAR 1015) This fine thangka portrays 113 deities arranged by categories, with most of their names given in small inscriptions. The innermost circle enshrines the Supreme Heruka together with the five Transcendent Herukas, all paired with their consorts. The two large concentric circles display forty-eight other deities that complete the wrathful appearances of the Bardo Thodrol. The figures outside comprise the canonical forty-two peaceful deities complemented by other figures, like those of the four paired wrathful Gatekeepers. At top center Samantabhadra and consort preside over the whole assembly of deities, which is closed at the bottom by the five Awareness Holders standing with their consorts. buddha heruka presiding over the wrathful deities of the bardo thodrol Tibet; 15th century Natural pigments on cloth; 24 x 16.75 in. Rubin Museum of Art C2006.66.90 (HAR 7) The image of Buddha Heruka and his consort, which dominates the painting, accords in great detail with the description in the text. The scroll portrays all the wrathful deities of the Transitionary State of Absolute Reality. They are completed with the images of Samantabhadra (top center) and his wrathful aspect, the Supreme Heruka (directly below) in union with their respective consorts. The lowest register displays seven protectors of the Nyingma tradition, among whom Vajrasadhu (first from left), Mahakala (center), and Rahula (second from right) stand out. returning to the “muddy swamp” of samsara. deceased is urged to pursue during that transit. realms of the gods, demigods, humans (the most favorable yet elusive realm), animals, greedy ghosts, and demonic beings. Tibetan exegetes complement the mythological description of the six destinies with a more sophisticated interpretation in which the six categories are analyzed in psychological and sociological terms (Fig 8). yama dharmaraja and yami (outer form) Mongolia; 18th century Gilt copper alloy, stone inlays, pigments; 19. 4 x 13 x 7.3 in. Jacques Marchais Museum of Tibetan Art When shown in his outer form, Yama, Lord of Death, is typically represented as having a fierce bull’s head, holding a club (here missing) in his right hand and a noose in his left, and wearing the macabre ornaments proper to his position. He is usually accompanied by his sister Yami, or by his consort Chamundi. In this magnificent sculpture, charged with strength and energy, Yama stands in the combatant’s pose astride a reclining buffalo. The buffalo is ravishing a human being, a scene that represents the fragility of our mortality. a visual compendium of the bardo thodrol Tibet; 18 or 19th century Natural pigments on cloth; 35.25 x 22 in. Rubin Museum of Art Purchased from the Collection of Navin Kumar, New York C2005.35.3 (HAR 65576) This didactic work of art is an excellent example of how painting has been traditionally used to illustrate elements of the doctrine and mythology associated with the Bardo Thodrol or other topics. Vajrasattva, the bodhisattva whose mantra purifies us of all negativities and downfalls, presides over the composition. Beneath him are the two mandalas of the peaceful and wrathful deities. The rest of the painting represents the judgment officiated by the Lord of Death, which determines whether the departed either descends into rebirth in one of the six realms of samsaraâ&#x20AC;&#x201C; the worst one corresponding to the hell regions where the dead are subjected to all sort of torturesâ&#x20AC;&#x201C;or ascends the path to a pure buddhafield under the guidance of teachers. 1 Giuseppe Tucci, To Lhasa and Beyond, Rome: Libreria dello Stato, 1950, 35. Cuevas, Brian J. The Hidden History of the Tibetan Book of the Dead. Oxford: Oxford University Press, 2003. 2 Giuseppe Tucci, Italia e Oriente. Milano: Garzanti, 1949; 198. Author’s translation. Freemantle, Francesca and Chögyam Trungpa (a new translation from the Tibetan with commentary by). The Tibetan Book of the Dead: The Great Liberation Through Hearing in the Bardo–by Guru Rinpoche according to Karma Lingpa. Berkeley: Shambhala, 1975. 3 Sogyal Rinpoche, The Tibetan Book of Living and Dying, 11, defines those states as “a series of constantly changing transitional realities.” 4 The Tibetan Book of the Dead–or The After-Death Experiences on the Bardo Plane, translated by Kazi Dawa-Samdup and edited by W.Y. Evans-Wentz. London: Oxford University Press, 1927. In this and its successive translations, this Tibetan text has since become the most widely read in Europe and America. 5 Author’s translation from the Tibetan. Cf. Prats, El libro de los muertos tibetano, 82-83. 6 Ibid., 60. 7 Ibid., 104. 8 Ibid., 42. 9 Ibid., 70-71. 10 Ibid., 79-80. 11 Ibid., 104. 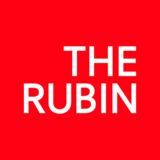 12 Price and Wong, The Diamond Sutra and the Sutra of Hui Neng, 74. Lauf, Detlef Ingo. Geheimlehren tibetischer Totenbücher. Braunschweig: Aurum, 1994. Padmasambhava (composed by); Karma Lingpa, Terton (revealed by); Gyurme Dorje (translated by); Graham Coleman with Thupten Jinpa (edited by). The Tibetan Book of the Dead: The Great Liberation by Hearing in the Intermediate States. New York: Viking Penguin: 2006. Prats, Ramon N. (traducción y edición). El libro de los muertos tibetano. La liberación por audición durante el estado intermedio. Madrid: Siruela, 1996. Price, A.F. and Wong Mou-Lam (translation). The Diamond Sutra and the Sutra of Hui Neng. Berkeley: Shambhala, 1969. Sogyal Rinpoche; Patrick Gaffney and Andrew Harvey (editors). The Tibetan Book of Living and Dying. Calcutta: Rupa & Co., 1993. Brauen, Martin and Claudio Dal Pra (a DVD edited by). The Virtual Mandala. The Tibetan Book of the Dead/Das tibetanische Totenbuch. Part 1 & 2. 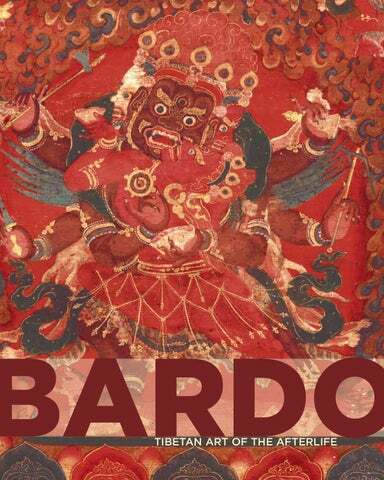 Zurich: ArtAdventures GmbH, 2005 This brochure is published on the occasion of the exhibition Bardo: Tibetan Art of the Afterlife, organized by and presented at the Rubin Museum of Art, New York, from February 12 through September 6, 2010, and curated by Ramon N. Prats and Martin Brauen. Brochure design by Evi Abeler.